The first season of HBO’s “True Detective” was a true cultural phenomenon, earning rave reviews, loyal viewers, and multiple awards. The second season was ... not. Arguably rushed by HBO to get to air to capitalize on the momentum, people hated it (although I’m here to argue that it wasn’t as bad as you remember, if anyone wants to discuss) and the show that looked like it would be an annual event disappeared over the horizon. Everyone was pleasantly surprised when HBO announced in 2017 that they were resurrecting “True Detective” for a third outing, which would be partially directed by Jeremy Saulnier (“Blue Ruin,” “Hold the Dark”) and star Oscar-winner Mahershala Ali (“Moonlight,” “Green Book”). It premieres this Sunday, January 13, and has much more in common structurally and tonally with the first season but still can’t quite compare with that year or the best of current television it so wishes to join. What I mean by that last sentence is that nearly every frame and scene in “True Detective” announces its importance and intent. It’s largely due to creator/writer Nic Pizzolatto’s noir/macho dialogue, but rarely has a show telegraphed its desire to be taken seriously as art as much as “True Detective.” A lot has been written about how Cary Joji Fukunaga balanced that out in the first season, but the balance came equally from two actors who are widely-known as "laid-back dudes," often in comedies as much as drama—Woody Harrelson & Matthew McConaughey. Of course, the narrative of the first season was dark and dramatic, but Harrelson and McConaughey were the real counter-balances for Pizzolatto’s overwriting (and that’s what was lacking most in season two). Watching season three, I just wanted a moment when the characters caught their breath and didn’t feel like they were part of an overly-scripted machine. Now, having said that, this is still engaging, dark, complex material, anchored by a great performance from Ali, supported by an excellent ensemble that includes Carmen Ejogo and Scoot McNairy. And Saulnier has become an interesting craftsman, willing to draw out scenes for the sake of atmosphere. His work on the first two episodes is closer in tone to the bleak nihilism of his recent film “Hold the Dark” than anything else he’s made, and his ability reminds us of another element missing from season two (which went from the auteur model to an array of talented TV directors, who were mostly good but inconsistent). Saulnier and Ali work well together, the former finding some new registers to Ali’s heartfelt, almost mournful style. I’d love to see them collaborate on a film. As in a lot of crime fiction, this "True Detective" is about that one case a detective couldn’t shake, and that really changed everybody involved forever. The first season of “True Detective” was about the barely-hidden layer of evil that exists in civilized society while the second used the corruption of an entire city to examine trauma. The third season is about a case so complex and tragic that it basically breaks the detective investigating it. As he did in season one, Pizzolatto jumps time periods with regularity, showing us the days right after the case began, when it was re-opened years later, and then even later when it still haunts our protagonist. He jumps the three eras with rattling regularity, and it’s clearly a thematic choice in that time has compressed as it often does after a major traumatic event—memory and action feel intertwined. The traumatic event this season is the disappearance of two children, Will and Julie Purcell, in 1980 Arkansas. Their father (McNairy) let them go play at the park, and they never came home. There’s an excellent sequence in the premiere in which Saulnier tracks the people who saw the Purcell kids riding their bikes to the park—local kids playing in their yard, some suspicious teens in a car, a local known as the “Trash Man,” etc. Detectives Wayne Hays (Ali) and Roland West (Stephen Dorff) were called in to investigate a missing persons case, probably presuming the kids would be home soon or with their mother (Mamie Gummer). They had no idea what they were getting into. The immediate aftermath of the investigation is the most engaging element but Pizzolatto and Saulnier get a lot of mileage out of the other two time periods as well because of the poignancy they add to the 1980 material. We get to see what this case will do to Hays, both in how enlivened he is by the possibility he could actually solve it in 1990 and then how it still haunts him in 2015 when he’s being interviewed for a true-crime documentary about it (by an intrepid reporter played by Sarah Gadon). The 2015 version of the retired Wayne Hays may be suffering from memory loss and dementia, but he’ll never forget the Purcell case. 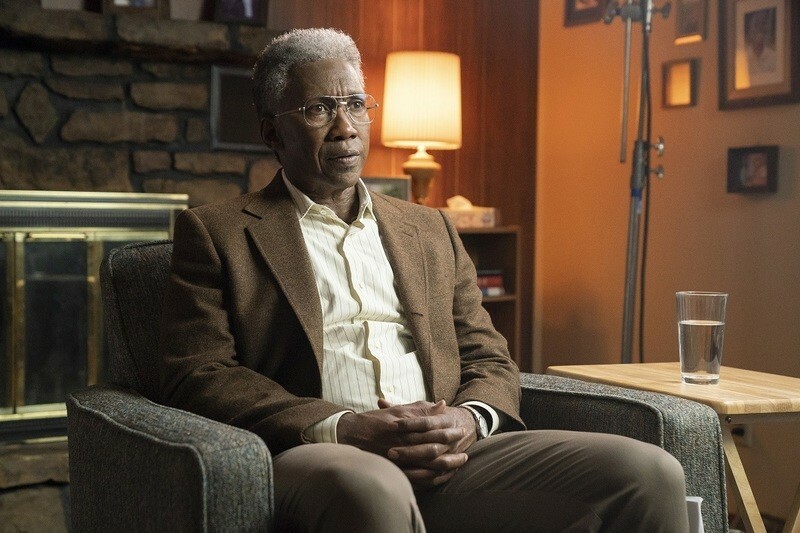 The mystery at the center of “True Detective,” and, more importantly, how that mystery impacted both Hays and his future wife, a local schoolteacher named Amelia Reardon (Ejogo), makes for compelling television, and I’m confident that Pizzolatto can bring in the final three, unscreened episodes for a solid landing. And “True Detective” is well-worth watching just as a showcase for Ali, increasingly one of our most interesting actors. Watch the different body language he brings to three eras, reflecting not just age but the ceaseless weight of the case that changed his life. It’s a great performance. Having said that, there’s a bit of urgency missing here. Sure, season one meandered into Rust’s musings on the nature of time, and season two basically gave up on convincing anyone to care about who actually committed the murder that year—so “rambling” is nothing new for “True Detective”—but I recently rewatched both seasons and I was more engaged during episodes I had already seen than the five new ones this year. Perhaps times have changed a bit, even in just the last few years. As we get more and more anti-heroes and see more and more stories of awful crimes, they may not have the hook they once did. I think there’s a tighter, six-episode third season of “True Detective” that allows Ali the same platform and Pizzolatto the same thematic exploration but doesn’t feel like it’s meandering. It’s possible that everyone involved wanted to mimic the first season so much that they never quite found the urgency in this one. 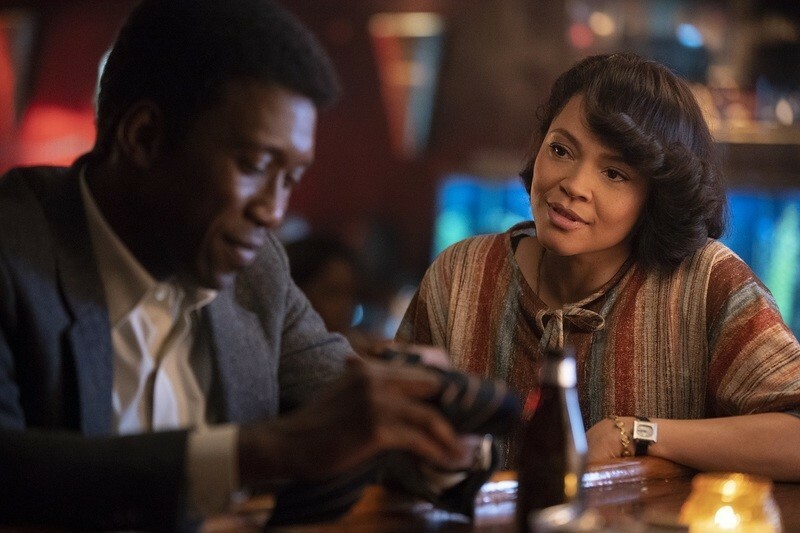 My sincere hope, though, is that this is a hit—and it likely will be for Ali’s great work and a mystery people will want to see solved—and the fourth season of “True Detective” can truly step out of the shadow of the first. The first five episodes of season three were screened for this review.